2016. The computer revolution. In a world becoming ever more technologically advanced, and reliant upon computers, machine learning and artificial intelligence are rapidly and fundamentally changing every aspect of human experience. But how does technology affect art and the creative process? In a world first, Sky Arts and Wingspan Theatricals will explore this question by presenting the premiere of the world’s first ‘computer musical’. 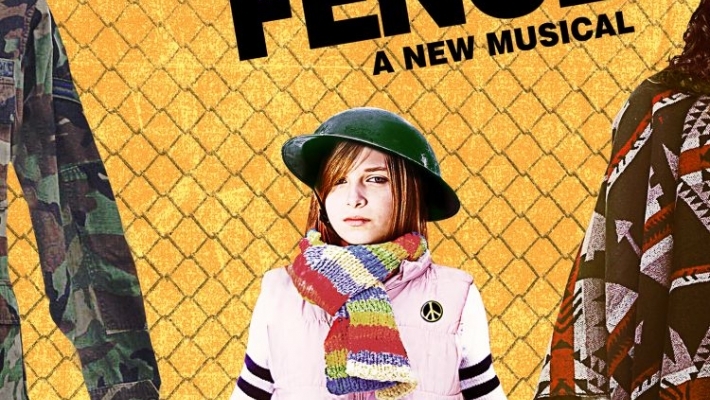 Beyond the Fence will play at the Arts Theatre in London’s West End from 22 February – 5 March 2016, directed by Luke Sheppard, choreographed by Cressida Carre and produced by Neil Laidlaw. Press Night is Friday 26 February, 7pm. ‘Computer Says Show’ affirms Sky Arts commitment to investing in ambitious new arts ventures. In April 2015, Sky Arts moved up the electronic programme guide (EPG), where it consolidated into a single ‘super channel,’ and increased its overall programming budget by 10%. Nathan Taylor has appeared in many West End shows including ‘Mary Poppins’, ‘Spamalot’, ‘Taboo’, ‘Miss Saigon’, ‘Martin Guerre’, ‘The Rocky Horror Show’, ‘Hedwig and the Angry Inch’ and ‘Les Misérables’. As a writer, Nathan supplied additional lyrics for the musical ‘Brass’, by Benjamin Till, he wrote the lyrics for Four Colours, an EP released to support the work of the Kaleidoscope Trust, and most recently was nominated for a BAFTA for co-writing music and lyrics for ‘Our Gay Wedding: The Musical’ (Channel 4), in which he also got married, to Benjamin Till. Benjamin Till has had a twenty-year career focused on pioneering the genre of the through-sung musical film documentary. His TV films have been nominated for and won many major awards including Griersons, RTS and Broadcast Awards. Films include ‘A1: The Road Musical’ (Channel 4), ‘A Symphony for Yorkshire’ (BBC), ‘100 Faces’ (BBC), 'Tyne and Wear Metro: The Musical' (BBC) ‘Coventry Market: The Musical’ (BBC), ‘Songs from Hattersley’ (BBC). He is the composer of The London Requiem (a setting of inscriptions from gravestones found across London) and is his most recent stage musical, Brass, won the UK Theatre Award for Best Musical Production. CD recordings include The London Requiem and the forthcoming Pepys Motet (a 20-part acapella setting of Samuel Pepys' Diary.) Benjamin and his husband Nathan Taylor were the grooms and writers of the BAFTA-nominated ‘Our Gay Wedding: The Musical’, which won a Grierson Award and the Prix Italia. Luke Sheppard’s most recent credits include ‘In The Heights’ (Kings Cross Theatre); ‘Oliver!’ (Watermill); ‘Casa Valentina’ (Southwark Playhouse) and ‘The Secret Diary of Adrian Mole: Aged 13 ¾’ (Curve Theatre). Choreographer Cressida Carré's most recent credits include 'Titanic' (Princess of Wales Theatre, Toronto); Avenue Q (UK Tour); The Grand Tour (Finborough Theatre); The Jungle Book (Citizens Theatre, Glasgow). Neil Laidlaw is one of the co-producers of ‘Gypsy’ (Savoy Theatre). His other recent productions include ‘A Doll’s House’ (Duke or York’s and BAM, New York), ‘Jigsy’ (UK Tour) and ‘The Steamie’ (Scottish Tour). Dr Catherine Gale has credits in both academia (postdoctoral research fellowships in HIV genomics, bioinformatics and computational biomedicine) and television, working on science programmes for BBC2, 4, Channel 4 and PBS. Recent directing credits include the award-winning ‘The Joy of Logic’ (BBC) and ‘The Brain – What Makes Me’ (PBS). Beyond the Fence was commissioned by Sky Arts as part of ‘Computer Says Show ’, a forthcoming television series by Wingspan Productions who devised this unique experiment. Founded and headed by Archie Baron, factual indie Wingspan’s recent award-winning productions include ‘Our Gay Wedding-The Musical’ (C4), ‘The Joy of Stats’, ‘Don’t Panic-The Truth about Population’, ‘The Joy of Logic’ and ‘Ian Hislop: When Bankers Were Good’ (BBC). Musical productions range from ‘The Great American Love Song’ (ITV) to ‘Angelic Voices: The Choristers of Salisbury Cathedral’ (BBC). Book by BENJAMIN TILL and NATHAN TAYLOR based on PROPPERWRYTER, a musical theatre Computational Plot Generation system created by Dr PABLO GERVÁS (Complutense University of Madrid). From an Original Idea generated by the WHAT-IF MACHINE as a result of the WHIM Project (Prof SIMON COLTON, Dr MARIA TERESA LLANO and Dr ROSE HEPWORTH , Goldsmiths, University of London). Music curated, composed and arranged by BENJAMIN TILL and NATHAN TAYLOR from Algorithmic Compositions by ANDROID LLOYD WEBBER, software developed by Dr NICK COLLINS (Durham University). Based on a Music Information Retrieval big data analysis of musical theatre works led by Dr BOB STURM (Centre for Digital Music, Queen Mary University of London) and Dr TILLMAN WEYDE and Dr DANIEL WOLFF (City University London). Additional Music generated using FLOWCOMPOSER, created by Dr PIERRE ROY and Dr FRANCOIS PACHET (Sony CSL, Paris). Beyond The Fence was commissioned by SKY ARTS as part of ‘Computer Says Show’, a forthcoming television series chronicling this unique experiment devised and made by WINGSPAN PRODUCTIONS. Its development was supported by the WELLCOME TRUST.